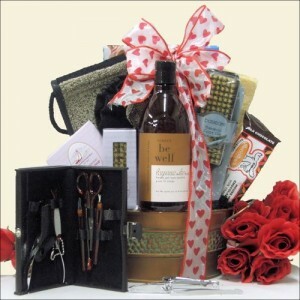 He’s the love of your life, so why not show him how much you care by choosing a Valentines Day gift basket for him? Buffalo Bills Premium Meat Snacks is owned by Choo Choo snacks. Buffalo Bills Meat Snacks include a 100 different meat items, such as jerky made from beef, venison, turkey and more. Considering the fact that most men love meat, and they really love those quick snacks they can eat on the go, giving them a Buffalo Bills Low Carb Lovers 6 Pack Gift Cooler filled with some great ready-to-eat gift snacks is definitely one way to show you care. This is a wonderful sampling of jerky for any jerky lover, especially one who likes Buffalo Bills jerky and meats. It just may introduce them to some new flavors they will love. The cooler will also come in handy for road trips, summer picnics, or simply hanging out at the ball game with friends. Reviews for the Buffalo Bills Low Carb Lovers 6 Pack Gift Cooler are extremely good, with most people having purchased this as a gift. Another great gift cooler filled with Buffalo Bills jerky is the Buffalo Bills 1.75 Ounce Beef Jerky 6 Pack Cooler. The cooler is made by Thermos and measures 8.5” X 6” X 7.5”. 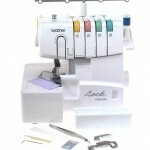 It has a zip closure, an exterior pocket, and a sturdy handle. It is great for carrying your lunch and a few snacks, or for those cold drinks when you go fishing or camping. This is a great gift for any jerky lover, and once the jerky is gone, they still have the cooler as gift to keep for years to come, and everyone could do with another cooler, couldn’t they? While a few customers complained that the jerky was dry and didn’t have much flavor, and this gift wasn’t worth the price, most people who purchased this Buffalo Bill Jerky Cooler couldn’t have been more pleased at the way their gift was received. If you are looking to pamper the man in your life for Valentine’s, then the Just For Men: Relaxing Day Spa Gift Basket may just be the ideal gift. Designed by the company Great Arrivals, whose mission it is to create affordable gifts for busy people to show their thoughtfulness, this Valentine’s Spa Basket is an extremely thoughtful and unique gift. Women like to pamper themselves with a relaxing bath with great smelling bath products, and men also need a little time to kick back and relax and pamper themselves, and this spa basket certainly encourages them to do so. There are only a couple of reviews for this Valentine’s Men’s Spa Basket available, but the reviews that can be found are extremely positive. Customers feel that this is a nice bath set for men, and state that all of the products smell great and are very masculine. Art Of Appreciation is a family owned company that provides high quality and unique gift baskets at a reasonable price. This Little Devil Valentine’s Gift basket is filled with hot and spicy treats with just a touch of sweet, and comes with a cute red devil bear. This is a great way to show that angel of a man that you appreciate his devilish side as well. The snacks are perfect for any man who likes spicy treats, and the Devil Bear is cute, although it really doesn’t look anything like a bear. There are only a couple of reviews for this Valentines Mens Gift Basket With Devil Bear, and while one reviewer only found this basket to be average, the other customer reported that the person receiving the basket was thrilled with this gift. Gift baskets for men can be great fun to give to the favorite man in your life, and they are the perfect gift for people who seem to already have everything.